Ken, thanks for sharing this presentation. The more widely spread this presentation is the better. Appreciate it. How did it go at Parliament last week Kane? I heard only two MPs turned up! Oh well, Paul does love summer in New Zealand so not a total waste of time! It went very well Peter. Paul had the chance to expose the Royal Society and the Office of the Prime Minister’s Chief Science Advisor so always a good day when that happens. Did you get the chance to see the Jack Tame interview on Breakfast or the Maori TV piece? This was all on the top of full houses throughout New Zealand. 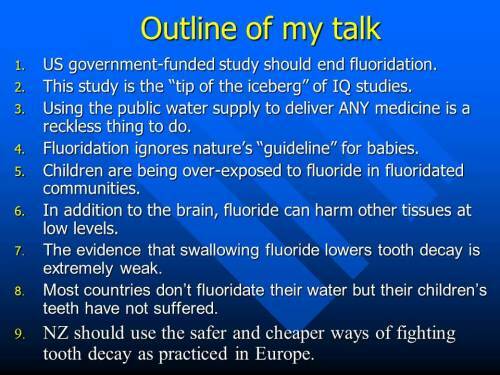 Re the powerpoint, Ken doesn’t realise but Prof Connett targeted the main points in the presentation so his critique is much like your interpretation of the fluoride science – virtually worthless. Let’s see what happens with the legislation, but with Labour and National on the same page I expect it will easily pass and before long we’ll be wondering what all the fuss was about. The Bashash study found a correlation to children exposed in utero, to the same level of fluoride pregnant New Zealand women are exposed to, and a significant lowering of IQ. This study looked at the fluoride in the urine of the pregnant women. Therefore, if a multi-million dollar study, carried out by top US Researchers, published in a US Government peer reviewed journal, has found fluoride at the same levels we are exposed to, correlates to a loss of IQ in children, does not give you pause to thought, then what will? This is a serious question. How much evidence do you need to convince you that the Precautionary Principle should be invoked? No need to quote WHO or any other organisation as no one else has published a study that refutes this. Mary, the Bashash study found a statistically significant correlation between maternal urinary F and child IQ (or a similar measure). But that association could explain only 3% of the variance IQ. Even Paul Connett acknowledges this now. A very poor correlation like this usually means that the real risk-modifying factors have not been included in the statistical analysis. That is certainly not sufficient evidence to abandon community water fluoridation as you suggest. You assert about the Bashish study that “no one else has published a study that refutes this.” I agree someone should refute it, or at least critique it. But that takes time. My critique of Malin & Till appeared more than 2 years after their paper. My critique of Hirzy at al., is still being peer-reviewed by the journal. 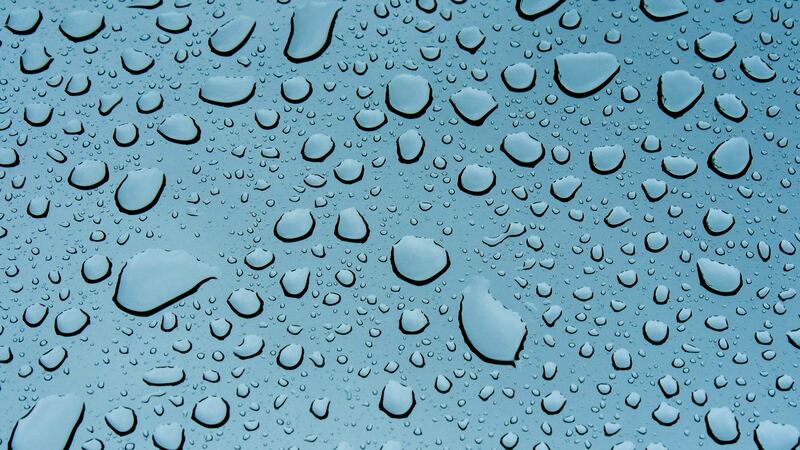 I realise that as a political anti-fluoride activist you will not look at the Bsashash study objectively. But the misrepresentation you and your organisation have indulged in does nothing for your credibility. 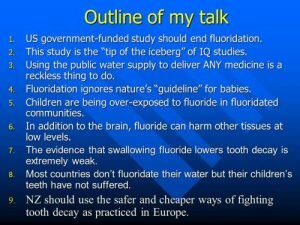 Nor for Paul Connett’s as basing his assertion that fluoridation should be immediately stopped worldwide on a single study with such poor results. The authors of this study do not make this claim – neither should he. Yeah, lets see what happens Peter. I do find it funny that you think that if the legislation passes you think it will be the end of it all. There is new research coming out all the time. Gluckman and Skegg really put their foot in it by saying that 7 IQ points was not significant. Kane, I am also targeting the main points in Paul’s presentation and exposing their flaws. If you think I misrepresent him in any way or that my critiques are wrong then please comment providing your reasons, not personal abuse. I have pretty thoroughly covered his misrepresentation of the Bashash study – will get on to other aspects next week. It is clear form Pauls comment in his presentation that he is reading my articles – even if his responses are weak.